On supports global Toyota launch - On Event Production Co.
On Event Production Co. played a hands-on role behind the scenes to help manufacturing giant Toyota showcase the first models of its latest Corolla as they rolled off the production line. The firm has worked with Toyota Manufacturing UK (TMUK) for several years and was once again asked to provide full production services in support of the event, which was broadcast around the world. Using a combination of staging, lighting, video and music, the event, at TMUK’s Burnaston Plant, followed one of the cars through the whole production process, with a video showing how they are built projected onto a big screen at the end of the production line. The screen then dropped and the invited audience of Toyota executives from Japan, VIPs, the media and senior Government representatives, were given their first glimpse of the new car as it rolled off the line. 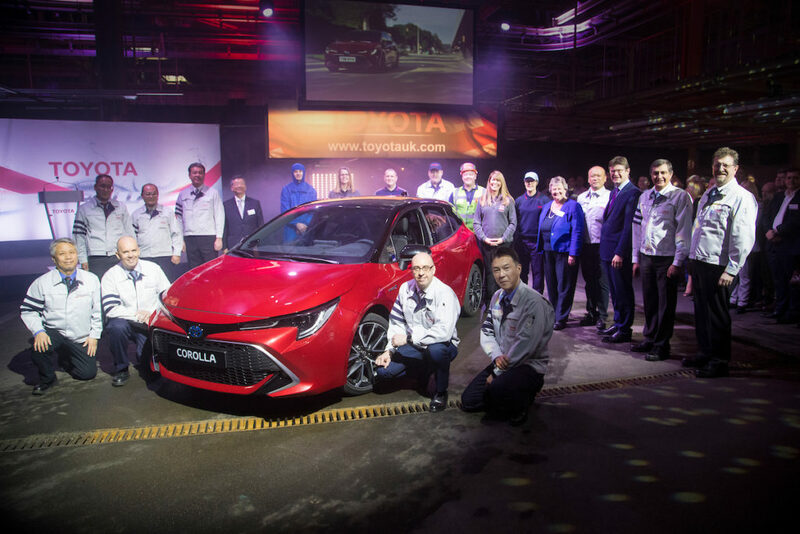 Last year, in support of the new Corolla launch, On also designed, built and produced an event to showcase the new model to the 2,000+ staff working at Burnaston, to boost team morale by showing how important their individual roles were in creating it. It took place in December 2018, during a planned two-week factory maintenance and cleaning close down in preparation for production starting on the new model. Guy Eaton, Managing Director at On Event Production Co, said: “We have a really good working relationship with Toyota Manufacturing UK which we’ve built up over several years, so it was great to be asked once again to work on its 2019 launch. “This is a huge event for Toyota, with the eyes of the world on Burnaston for the day, so it was important that it not only showcased the car in the best light, but also went off without a hitch.